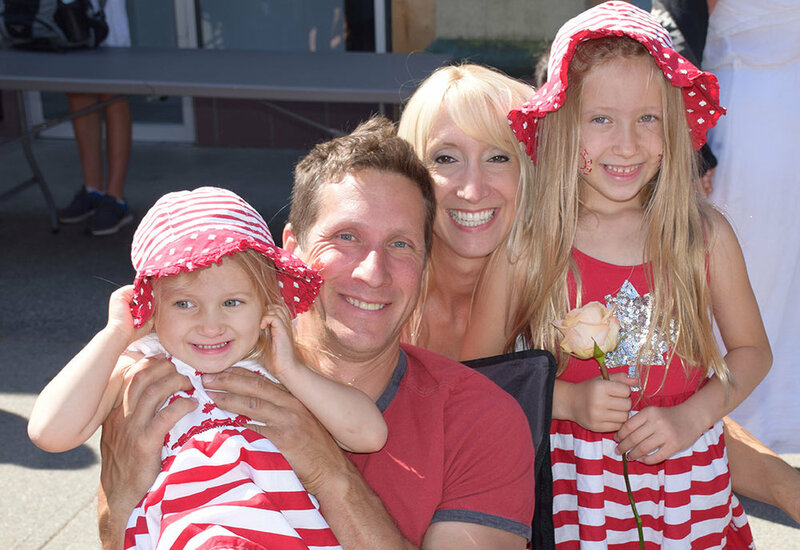 I live in Gibsons with my husband Gabe Urban and our two daughters, Annabelle and Emaline – and we’re grateful every day to call this community home. But not everyone is as lucky as we are; too many people are struggling to find a place to live. The urgent issue of affordable housing is a concern for all of us, even if we’re not directly affected by it. Rising real estate costs have put home ownership out of reach for many families, even with two working parents, and rental shortages have some facing homelessness. It is a complex problem that calls for a multi-faceted approach involving the wider Coast community and senior levels of government. But there are some things our local council can do. Support the legalization and regulation of short-term rentals. Support housing projects that assist those in greatest need, such as the Sunshine Coast Affordable Housing Society proposals, the repurposing of the old RCMP site, and the need for a cold weather shelter. Explore opportunities for collaborative community engagement sessions with the financial, property management and building sectors to share information about the economic and social benefits of building secondary suites; promoting coach houses; and leveraging equity from primary residences to buy secondary rental properties. Examine the affordable housing contributions made by developers to ensure the best approach is being taken. The expected population growth for the Sunshine Coast over the next 10 to 15 years is 40%! And that only includes the people that will be living here, let alone the people that will be visiting from surrounding areas as word spreads about the Sunshine Coast’s desirability as a recreational destination for the Lower Mainland and Howe Sound communities. References: SCRD-Comprehensive Regional Water Plan, SLRD Regional Growth Strategy (the period from 2003 to 2031: from 35,141 residents to 68,153 residents. Metro Vancouver Regional Growth Strategy: 2031 over 2011. Gibsons will be the gateway for this increased traffic pressure. We need to advocate for a Sunshine Coast Regional Growth Strategy that speaks to Highway 101 improvements. We need to collaborate with the SCRD for these improvements now (knowing that these things take time) through the Union of BC Municipalities and the Ministry of Transportation & Infrastructure (MOT). Other municipalities are benefiting from federal and provincial funding programs and annual MOT work planning initiatives to address highway improvements and public transportation. It’s time we put Hwy 101 on the list! The lifespan of the Sunshine Coast landfill has only seven to 10 years remaining. There are things we can do now to try extending that, but long-term planning for how we’ll manage our garbage in the future needs to start now. Support diversion of Gibsons’ garbage from the Sechelt landfill through further exploration of a curbside recycling program to complement our curbside organics program. Support diversion of commercial organics and recyclables. Advocate for a renewed solid waste management plan that more clearly defines roles and responsibilities across the Sunshine Coast governments; identifies a long-term plan for solid waste management in anticipation of our landfill closure; and highlight the need for annual performance management reporting across all levels of government. Support for restrictions on plastic straws, plastic bags and single-use containers in alignment with other municipalities. Advocate for better education programs and continued dialogue on solid waste management throughout our community. Our water infrastructure isn’t keeping up with current demand, let alone anticipated growth. Now more than ever, the governments of the Sunshine Coast need to collaborate, strategize and reach consensus on how best to address our water management issues moving forward. The future of the Chapman Lake Expansion Project, which would draw water deeper into the lake during droughts to provide water to most of the Coast—including upper Gibsons—is now in the hands of the provincial environment minister. His decision on whether to proceed or not and how to do so if he does, is expected sometime this fall. Whatever that decision, I support practical efforts and meaningful consultations to amend the SCRD water management plan to more urgently meet the challenges of climate change and population growth. Meanwhile, our town council must remain vigilant in protecting and managing access to the Gibsons Aquifer. Having been a ferry commuter for 10 years, I have watched young families move to the Sunshine Coast in search of a better lifestyle. Often, one member of the family commutes, leaving the other parent free to support their children and work on the Coast. They’ll attempt this arrangement for a year or two until inevitably the commute becomes too difficult and they end up moving back to the city. I have personally seen this trend occur more frequently when it’s the woman of the household who commutes, particularly if they have young children at home. Putting in a 13-hour day (eight hours of work with 2.5 hours of commuting on either end) is just not sustainable for mothers with young children at home. Add a missed sailing at the end of that day because the bus was late and BC Ferries won’t sell foot passengers a ticket due to the 10 minute cut-off rule while the boat sit in dock for 20 minutes loading cars – and we’ve lost another hard working family from the coast. Support for commuters should concern us all! Commuters and their families own homes in Gibsons, spend 90% of their “city-earned salaries” on the Coast, and are active volunteers in our community. In 2010, the SCRD commissioned a report that found (as a conservative estimate) that 12% of the full time incomes on the Sunshine Coast were earned by people commuting to the Lower Mainland. Twelve percent of our full time workforce - and that was almost 10 years ago! Advocate for a new report that examines the current and future contribution of ferry commuters to the Sunshine Coast workforce and evaluate service requirements to support their needs. Continue to advocate for a provincial subsidy from the Ministry of Transportation in support of a foot-passenger ferry service until hourly service can be provided by BC Ferries and beyond. Work with the Sunshine Coast Regional Economic Development Organization to develop a sound business plan in support of that provincial subsidy. Advocate for better management of the 10-minute cut off rule for foot passengers. Advocate for better connectivity between BC Ferries and Vancouver bus services to downtown Vancouver. The most vibrant communities that appeal to a well-balanced demographic place high value on parks, recreation, arts and culture. Nelson, B.C., is a great example of this! Obviously employment is a big factor for attracting and retaining young families. But with better transportation and ferry services, increased use of telework options, and the fact that we’re only 40 minutes away from the largest economic centre in all of British Columbia, employment for Gibsons shouldn’t be a problem. Gyro Park in Nelson, B.C. – children’s wading pool open to the public by donation. Completion of the Armours Beach improvement project with an eye to youth interests. Explore community interest and financial feasibility of an outdoor wading pool suitable for young children. Explore community interest in the formation of a Gibsons Arts and Culture Committee to take on projects like a “walkable arts and culture treasure hunt” with outdoor art pieces strategically located throughout the community in areas of economic benefit. Advertised through brochures distributed at the Gibsons Visitors Centre and Town of Gibsons website. Support for downhill mountain biking and other outdoor recreation. Bring back “Movie Nights in Winegarden Park” as a place to air The Beachcombers, family-oriented movies and local film productions. Support for buying and investing locally. This is a great vision! But achieving it, particularly in times of increasing growth pressure, requires clear guidelines and strong leadership. Our jewel of a community has been “discovered.” That means we get to be selective in what we develop and how. That doesn’t mean increasing costs and red tape for developers – quite the opposite. It means streamlining bureaucracy through clearer form, character and density guidelines while expecting high quality design that upholds our vision. But what is our vision exactly? What is Gibsons seaside character and unique heritage? And where do we want to apply it? Gibsons Landing? The entire town? Having sat on the Gibsons Advisory Planning Commission for two terms I have reviewed multiple development proposals where our vision has been interpreted in many different ways, leading to frustration for developers and confusion and debate for all of us. I believe that communities that clearly define and retain their unique heritage become more interesting tourist attractions and vibrant communities to live in. Defining our heritage and character would be good for our economy and our quality of life long term. Update OCP to clarify language on form, character, and density. Support for a continuous, accessible seawalk as part of the Foreshore Plan. Redesign and beautification of Gibsons Landings “Five Corners” intersection. Protection of heritage buildings like Stonehurst. Develop well thought out policies and bylaws in support of green technology.